I am pretty sure this product is no strangers to you. Literally every beauty blogger and vlogger rave about it. So as soon as our local drugstore brought this product in, I knew I have to get my hands on them. Getting them was a struggle at first, it was sold out everywhere. 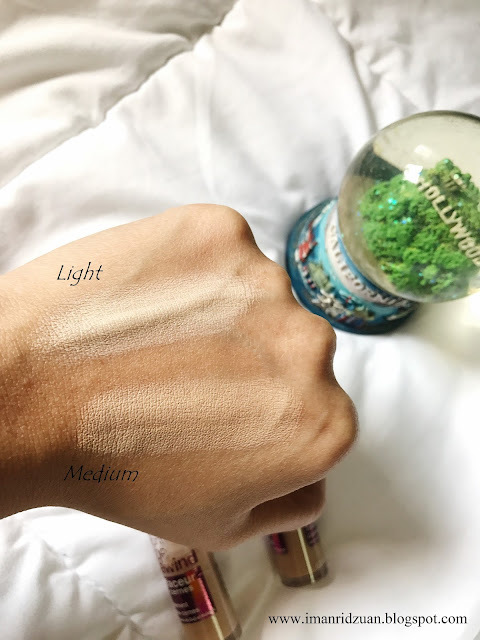 Malaysia only carry in 2 shades ; Light and Medium. I managed to get both to try out. This product retails at RM34+ at the drugstores. 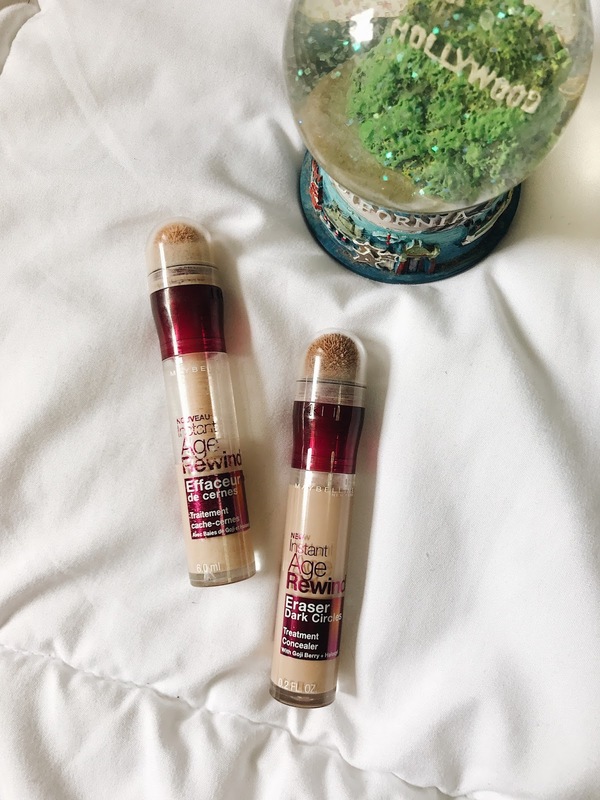 This concealer is packaged in a twist tube with sponge applicator, so it's not like your conventional concealers with wands. With this, you have to twist the red sleeve to get the product out and absorbed to the sponge applicator, and then you apply it directly onto skin with the sponge. I don't know why, but I always prefer my concealers to be applied with wand. 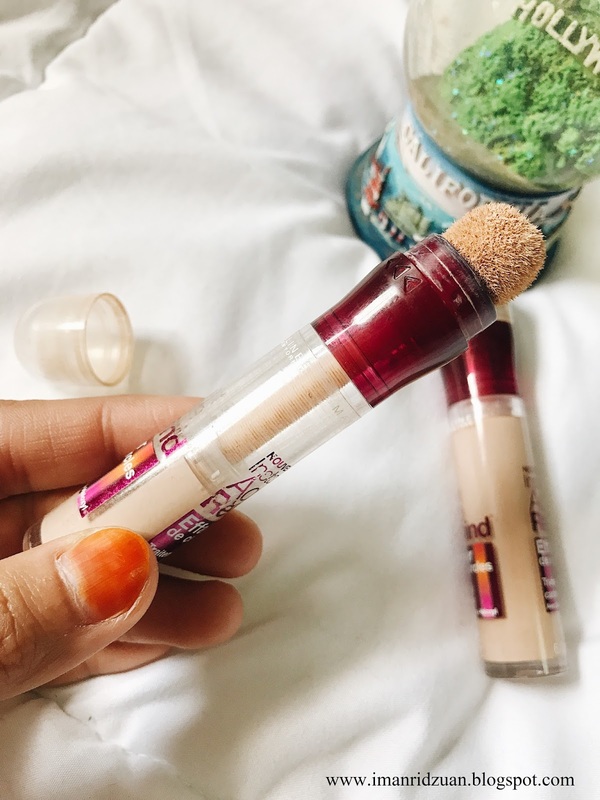 Hygiene wise, it's just the same as you're dipping the wand back into the tube after touching your skin in conventional concealers anyway, but for some reasons, applying squishy dirty sponge that makes those squishy sound as you're applying it kinda grosses me out. I just wish that the sponge is detachable so that you can wash it between uses. But, let's just push that aside first. Love the twisting part though, because no product is wasted and you can clearly see if you're running out from clear tube. When we're looking for a good concealers, it is about how well it covers. I would say that the coverage is medium, but you can totally build it up to full. I was sick in this before and after shot so my dark cirlces are a lot more prominent because I wasn't been able to get a good sleep for a few nights. But as you can see, it did brighten up my left undereye pretty well. Great thing about it is that it won't look cakey if you layer it on. 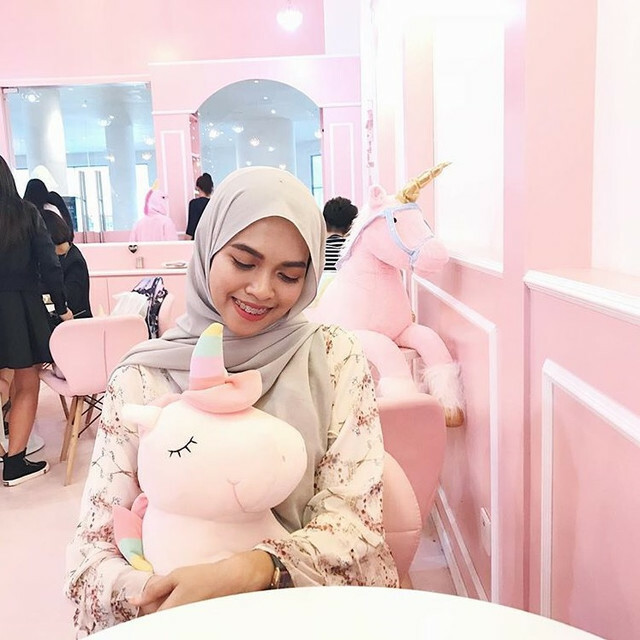 Another thing that I look for in a concealer is whether or not it will creases under my eyes. I am only 22, but gurlll, those fine lines under my eyes! A lot of concealers that I tried would settle into those lines, but I have absolutely no such problem with this one. That's another plus point! Set the concealer with some loose powder, and it will lasts all day.